As i’m very new to the home brewing scene I’m as interested in learning about the ingredients that go into beer as the brewing process itself. The look and taste of the final product is entirely dependent on both the quality and quantity of the ingredients added in the brewing process with the potential for a slight variance to product a completely different beer once its fermented and bottled. Its for this reason that want to learn exactly how each ingredient tastes in a finished beer, so I need to brew simple beers (to start with) using only a couple of ingredients in smaller quantities which will give me room to experiment. Its for these reasons that i’m going to use two concepts in my home brews – SMaSH beer and One Gallon Brewing. SMaSH stands for Single Malt and Single Hop and is the idea behind producing very simple beers that show off the ingredients to their fullest. As each recipe is very simple, I’m planning on using them to learn how each type of malt works along side each type of hop. I’ll use this knowledge as a basis to produce my own more complicated recipes as I progress. SMaSH brewing is an excellent way to learn about the flavours various malts and hops impart on a beer. By focusing on just one grain and one type of hops in a recipe, you can truly get a feel for the flavour of the malt and hops used. This being said, unless you are experimenting with the properties of different yeasts, you will want to keep to a clean fermenting yeast like S-05, WLP001, Nottingham etc. Otherwise, the flavours contributed by the yeast will begin to overshadow those from the malt and hops. 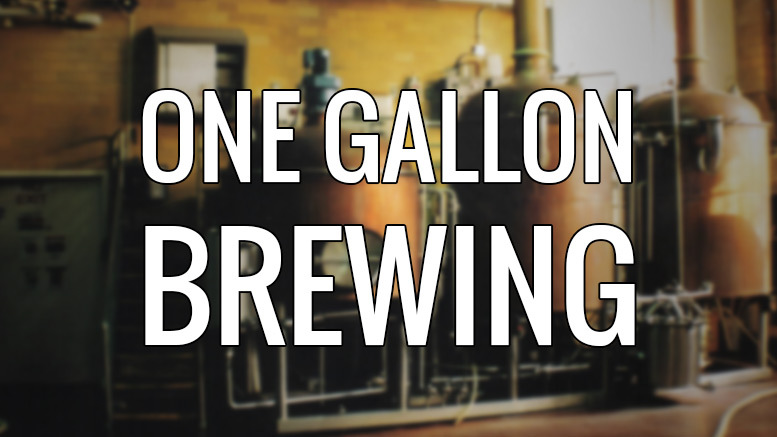 One Gallon Brewing is a type of ultra small batch brewing where generally no more than a single gallon of beer is produced in one go. 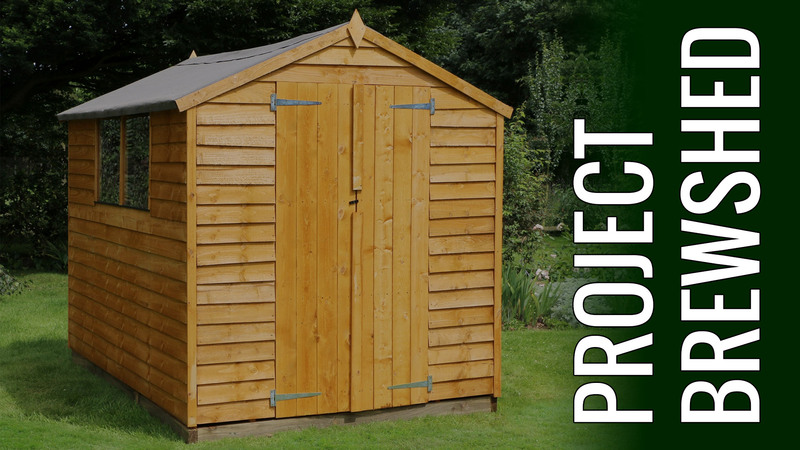 Its ideal for learning the brewing process and takes up significantly less space than a larger, say 5 gallon setup needs. You also need far less ingredients as you are producing less end product, so each brew is cheaper to produce. Brewing time is also shortened as a complete brew can be done in an evening, rather than a full day. While I learn the ropes i’ll stick to these ultra small batches – as its only a gallon i’m happy to experiment. If a beer doesn’t turn out as expected then i’m going to be happier disposing of a single gallon than larger quantities. My one gallon brewing setup is as simple as it gets. I’m using a 8.5 litre IKEA stock pot as my main brewing vessel (this one in fact.. ). I’m brewing using the BIAB method so i’m not using a separate HLT, Mash Tun or Boiler – this keeps my setup as compact as possible. As you can see from the following image I’m keeping my setup as simple as possible. This is the first of my “learning brews” and I’ve picked a single hop, a single malt and a single yeast for the recipe. From this i’m planning to make around 5 litres (just over a gallon) of beer but in reality this will probably be closer to 4 litres due to wastage and inefficiencies in the brewing process. As i’m brewing using a brew in the bag process (BITB) all the water is added at the start of the brew, so i’ll be starting with around 8 litres of water. I’ll top it up to 5 litres with boiled water if needed when transferring to the fermenter. 2 weeks fermentation @ ~21 degrees before bottling and conditioning for a further 2 weeks. I was planning on a dry hop but i’m going to be on holiday for the majority of the fermentation period a didn’t want to rely on getting someone else to do it in my absence – my last brew went a bit wrong and I think it was down to some contamination at the dry hop stage – so i’d rather not chance it. I’m aiming to make the brew as close to the American IPA style as possible. I’m aiming for an OG of 1.057 and an FG of 1.013 which should give me a nice 5.8% ABV so I wouldn’t describe this as a session ale :). For speed and convenience I took a trip up to Leyland Home Brew and picked up my bits and pieces in person. Along with my ingredients I also picked up some Irish Moss tablets, some StarSan sanitizer and a Hydrometer (so I can gauge the alcohol level in the beer). I’d not originally planned it but I ended up ‘Live Tweeting’ the process. I’ve included the highlights below – for more please check out my Twitter feed. I genuinely enjoyed my Smash Citra brewing session, I found it far less stressful than last time – probably because I wasn’t checking the recipe card every 30 seconds in case I missed something. I did play a little fast a loose on some on the timings, I think my mash was about 5 minutes over and my total boil time around 5 minutes under but I very much doubt this will affect the end product, especially given the basic nature of my equipment. I also found that by being far more organised and pre-heating my water I was about 45 minutes quicker that last session, I think it was roughly 3 hours and 15 minutes in total whereas last time it was more like 4 hours. My OG was also higher than i’d planned at 1070 – possibly be down to me not using my hydrometer correctly so I may end up with a slightly stronger brew (possibly around 6.5%). I’ll do a follow up post in a fortnight when I bottle it. After a bit of Googling I found a different Smash Citra recipe over at Craft Beer & Brewing Magazine. Its designed for a bigger batch (5 gallons) so it should scale down to similar quantities of ingredients to mine. 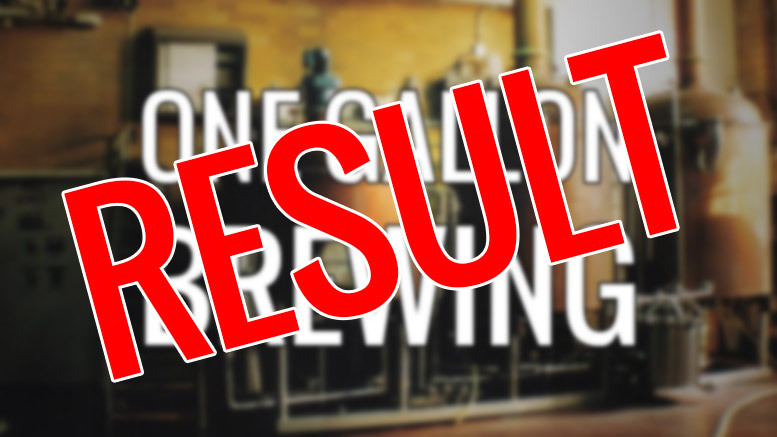 Be the first to comment on "One Gallon Brewing – Brewing a Citra SMaSH IPA"